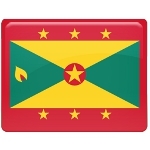 Grenada Carnival is organized and promoted by the Spicemas Corporation, an official statutory body. Carnival festivities typically begin in July, but it is early August when the celebration gains momentum and the most colorful events are held. Spicemas officially opens on the second Monday in August, the opening event is known as J'ouvert It is a bright street party that starts early in the morning and lasts all day. The second day of Spicemas, Carnival Tuesday, is dominated by street bands. On this day, numerous bands march the streets of St. George's, performing traditional Calypso music. The musicians are clad in full costume, so the parade is really colorful and vibrant. The parade is followed by the final jump-up in downtown to cap off the event, which usually lasts until midnight.